How does someone committed to living a simple, deliberate life approach being charitable? Does charitable giving fit into a simple life? Deciding to live in a way that doesn’t depend on stuff requires focusing for a while on your own needs. You must decide which so-called needs are really just wants and eliminate from your life everything that doesn’t fit in. 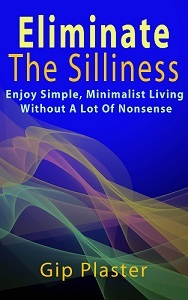 Those of us who choose simple living often choose a minimalist approach to work too, and that sometimes means making less money than those who willingly sell their lives. Still, the world is overflowing with people and causes that need help. No matter how little you have today, there are those who have less, and you’re in a position to help — if you want. In my developing list of the five priorities that shape simple, minimalist living, there’s no mention of charitable giving. Point 5 suggests being a well-rounded, complete person, however, and giving to charity could be considered part of that priority. What do you think? 1. You must give something, mustn’t you? I think we all have an obligation to give time, money and other resources to those worthy people and causes that need help. Don’t you? That said, I make very few charitable donations these days. In the past, I’ve supported museums, political causes, animal welfare groups and public television, but none of these causes get money from me anymore. I’ve lost interest in politics, and while I sometimes benefit from museums and public TV, they aren’t a crucial part of my simple life. If I give anything to anyone in 2012, it will be to animal welfare causes or directly to the people who the help. 2. Direct giving makes sense. While donating through a non-profit organizations allows you to combine your gifts with others to make a big difference, directly giving to someone who needs help is often a better way to make a real, quantifiable difference in someone’s life. Direct giving isn’t necessarily tax deductible, but it’s often rewarding in other ways. It can be as simple as helping your friend who has fallen on hard times or using your gas and time to feed the hungry, take people where they need to go or get things for people who couldn’t get them any other way. 3. Limiting the number of organizations to which you donate reduces waste. Some non-profit organizations spend an appalling among of the money they collect trying to get more money. They bombard those who already give to them, insisting that they give even more. Limiting the number of non-profit organizations to which you give limits the amount of junk mail you get. Donating a small amount to an array of organizations, as I once did, keeps you in touch on many different fronts, but it’s terribly inefficient. Have you tried this approach? Of course, true minimalists are vigilant about limiting the amount of postal mail and junk email they accept from anyone, including their favorite non-profits, so all this waste is really an unacceptable byproduct of well-intentioned actions. Whether you have a lot of resources at your disposal or not, I’m sure you sometimes give some of them away. As I’m writing this today, I don’t have many resources available. Money is tight because I’ve been dropped from an agency that was providing me a lot of writing work and because I wasn’t making that much anyway. While my old bookselling business is showing some signs of new life, there won’t be much extra money coming this week or next. I’m not in a position to help anyone else, am I? Yet I’m writing today with little hope of financial gain, mainly for the benefit of myself and my readers. And I’ll be spending time in the next few days with people who enjoy and perhaps even need my love and attention. That sounds charitable, doesn’t it? Perhaps the simple, minimalist approach to being charitable is to live a charitable life. Being charitable means being devoted to the assistance of those in need. Are you? I was thinking about this yesterday. It’s huge question for me right now. If I won the lottery (which I don’t play) of course I would give some of that money to charity. But right now we are living on our savings and have no idea how many years we will be doing that. So, how much can we afford to invest in other people? Even giving time requires spending money since I would have to travel to get to wherever I was spending that time. So, for now, my charitable donations are the clothes that become too big for me as I continue to lose weight. But, it doesn’t feel like enough. I think it’s enough for now, Linda. You can do more later, and it sounds like you have probably done more in the past. I don’t think giving to others from the savings upon which you depend is a financially smart idea, so this isn’t the time to give money. Maybe it’s worth spending some money on travel to get to a place where you can donate time, however. Your time could have a much greater impact if used wisely than the few dollars the transporation would cost. Charities can turn your unwanted items into cash for their causes, so that’s an important way of giving that you shouldn’t underestimate. I agree that if you can help others, then do so. The most important thing I feel, is to decide what is important to you and resonates with you, be it volunteering for the homeless, animals or the old and to decide if you want to keep that local or try to chip away at unfairness and poverty in third world countries. My preference is to give time where I can (volunteer driver for rescue dogs), as I can see the direct impact that donation has versus doubts about how the donations are spent – yes, the proliferation of leaflets is annoying and designed to push the guilt button. Linda, in the UK we have dress for success which is a charity helping women to get back into work by loaning out clothes suitable for interviews, I’m sure it’s a U.S. import, if that’s any help. I think direct, local giving is best, whether it’s money or time or donated items. Sending money off to some faraway location may or may not do any good, but there’s no way to be sure. And all that junk mails helps confirm my suspicion that many charities exist mostly to send mail and pay their staff. Yes, I agree. Those of us fortunate enough to have access to the resources needed just to read their website definitely have an obligation to help others. Sometimes I struggle with just how charitable I need to be though. Donating items I no longer use that are still in good condition is easy for me; giving money is harder. I’m trying to get better at that and increase the amount of cash I give. One idea that has really resonated with me is The Life You Can Save website at http://thelifeyoucansave.com/. It encourages people to give just 1% to those in other countries who are barely surviving. I also definitely agree that you have to take care of yourself and your own future first, and we shouldn’t feel guilty for doing so. You’re right. In fact, we shouldn’t feel guilty about any of our choices. Thanks for taking a minute to comment. I know this is an issue that’s important to a lot of people.